The shipment of sea minerals showed up yesterday. Today I spread some out at the garden area at The farm. I was told it is best to dissolve it in water and spray it this time of year but it was raining so I threw it out. The idea is sea water has a good mix of all the minerals. The water is evaporated and the salt removed ,along with another element, and you are left with a lot of minerals. The plan is to first use them on the Swales and plants we planted to help the nutrient density then on the grass areas. They recommend a 200 gallon tank to mix and spray from. I doubt I get anything g that large unless I can borrow or rent one. 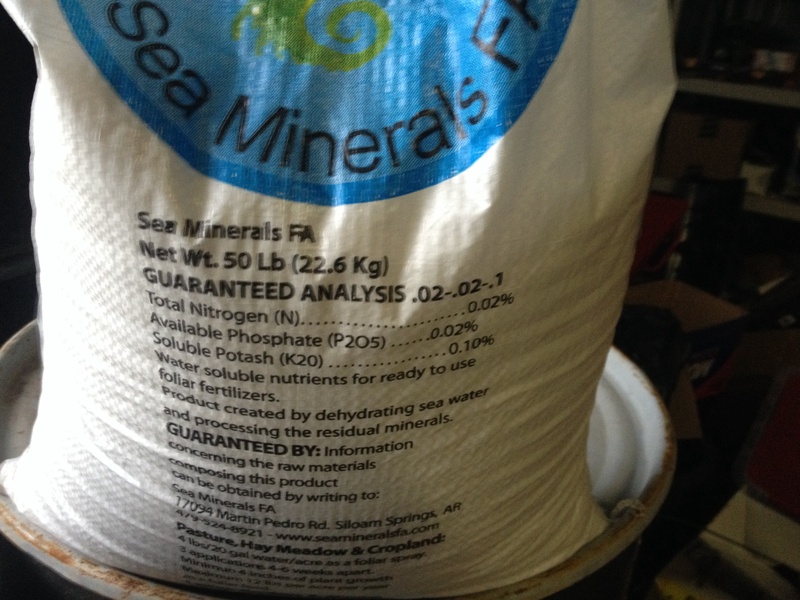 Mixing a sea mineral solution with biochar sounds like a winning solution. Adding molasses and microbes and maybe some comfrey or compost tea should help as well. 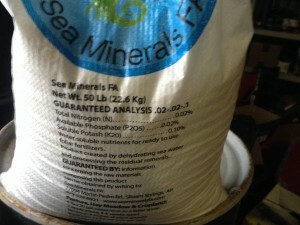 Check the search engines and youtube for sea mineral information. Sounded like a great fertilizer to me.